I was born in a small country called Bangladesh. Even though I have not lived there for the last 19 years, I visit as often as I can and I am extremely proud of my heritage and culture. Our culture and people are colorful, energetic and vibrant with a lot of heart. We are a country of romantics and poets with a rich history in art and literature. Unfortunately, it is also a poor country with about 55% living below the poverty line. The average yearly income is about US$ 1000. After a long time, I am finally at a place where I am able to do something to help. 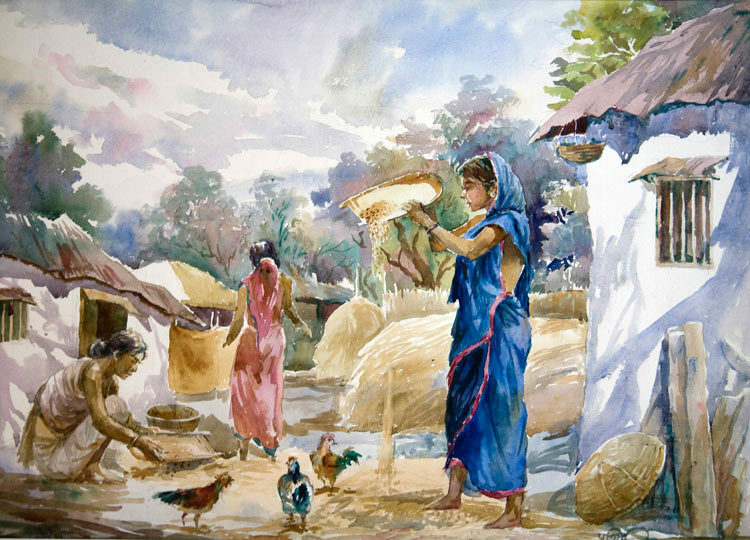 Below are some watercolors on canvas, painted by Matiur Rahman, a prominent Bangladeshi folk artist. He was also my uncle. 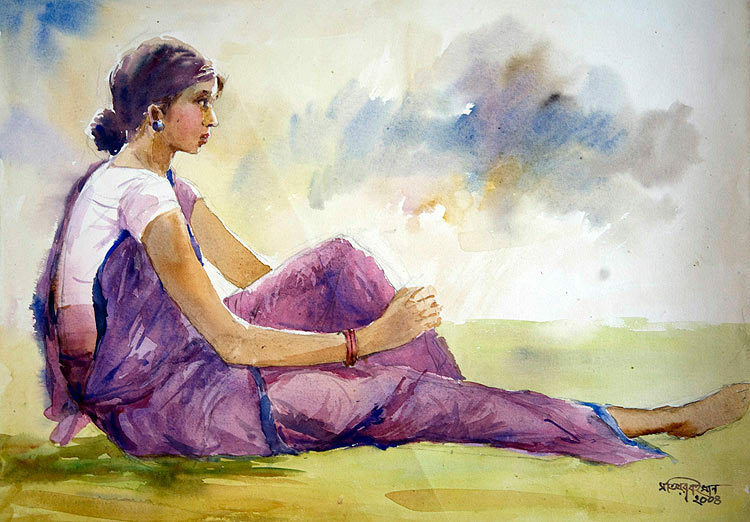 His favourite subject to paint was images of Bangladeshi village life. He passed away a few years ago, and I know he would like nothing better than to spread these images of the beauty of simplicity found in Bangladeshi Villages - something we can all use in these times. Most photographs from this site are available for sale - please contact me for any image you are interested in, and I'll let you know the sizes available. ALL proceeds from the sale of the artwork, and ALL profits from the sale of the prints will be donated to various charities that help to improve the quality of life and education for people in Bangladesh, especially children. Some of these include JAAGO, Save the Children, BRAC and independent orphanages. With your purchase, not only will you own a beautiful print/artwork, you will also be making a huge difference in a kid's life. If you want to know more, and have any questions, do not hesitate to contact me, via my facebook page or via email - rahm0277 [at] gmail. Mother and Son - SOLD!